At #HerRole, Iraqi women from newly liberated provinces discussed the triggers and drivers of the most recent conflict against ISIS. Iraqi women are leading the charge to find new avenues for open and honest dialogue on national reconciliation. In the wake of the devastation left behind by the Islamic State of Iraq Syria (ISIS), and at a time of weak social cohesion and trust deficits, women are taking on the challenge to build bridges across communities to advance a democratic, economically prosperous and peaceful Iraq. To support this, the National Democratic Institute (NDI) is assisting over 40 women peace activists and four civil society organizations from Anbar, Kirkuk, Ninewa and Salahaddin to increase access for women to decision making processes on national reconciliation issues in Iraq. Launched in Fall 2017, the program entitled #HerRole: Inclusive Reconciliation, Lasting Peace, builds women activists’ capacity, confidence and connections. The ultimate goal is for them to develop and promote a gender-sensitive national reconciliation platform, as well as advocate for a seat at the table. When people want to make steps towards peace, that means they have hope. During the first phase of the program, participants learned to design and implement peacebuilding initiatives tailored specifically to their communities. Through a learn-by-doing approach, participants mastered key conflict transformation techniques, such as active listening, understanding others, and negotiation and facilitation skills. The women also drafted a visionary document for peace in Iraq, to both guide their thinking as they devise recommendations for a national reconciliation platform and serve as an outreach tool to engage their communities. Since the training sessions, participants have started to reach out to hundreds of decision makers, stakeholders and citizens in their provinces in order to solicit their opinions on and advocate for their vision for peace in Iraq. At a launch event in Mosul, a participant shares her insights as to why women need to be involved at all levels of decision making for national reconciliation. 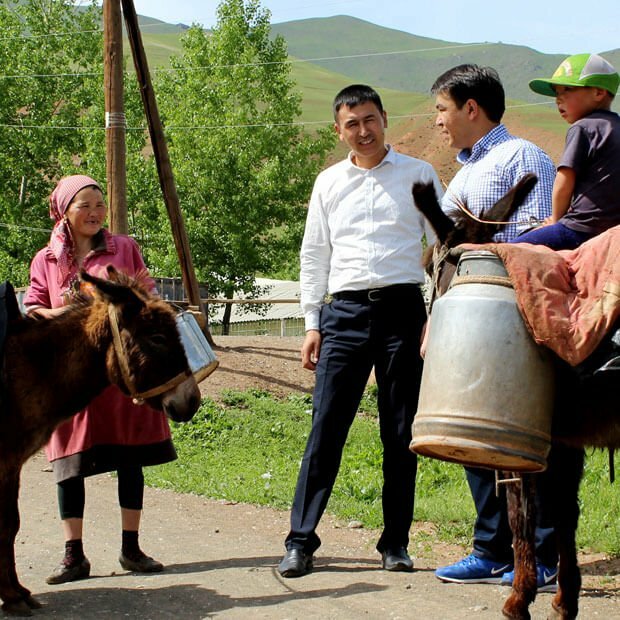 For many of the participants, NDI’s program is also the first time they met with women from different provinces to discuss their own role in national reconciliation. Given the security environment, opportunities for women from different parts of the country to interact remains limited. As a result, they have little exposure to the experiences of others and engage only in local interventions that primarily focus on their own ethnic or sectarian components. A core component of NDI’s program, therefore, is to build soft skills such as empathy and inclusiveness, so that women actively include those outside of their own identity groups in their peacebuilding work. Since they will be trying to serve the interests of all Iraqis, these women will be better able to gain credibility and citizens’ trust, as well as the confidence of decision makers. I used to be afraid of some participants in the training room as I always thought they could be potential terrorists. Through this program, I am more now comfortable exchanging ideas and working with everyone despite our differences and our affiliations. 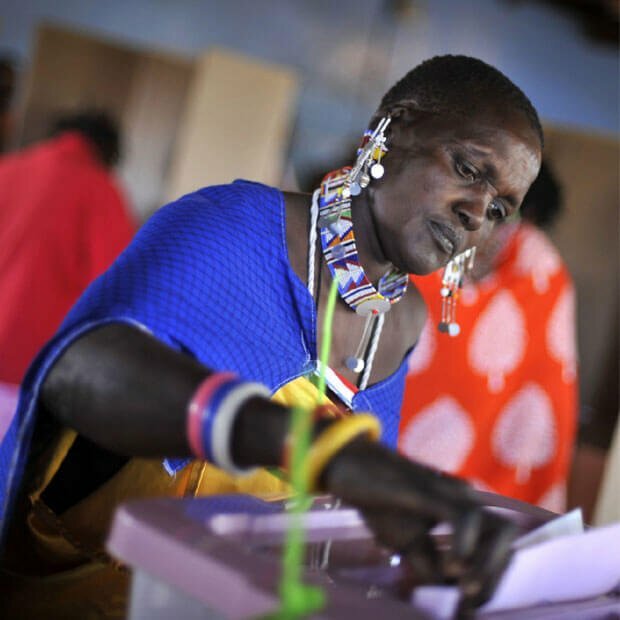 As seen from negotiation and reconciliation process around the world, if women are involved, peacebuilding and broader reconciliation efforts are proven to be more sustainable. And yet, despite their eagerness to contribute to the public discourse, these peace activists lack clear avenues to do so. 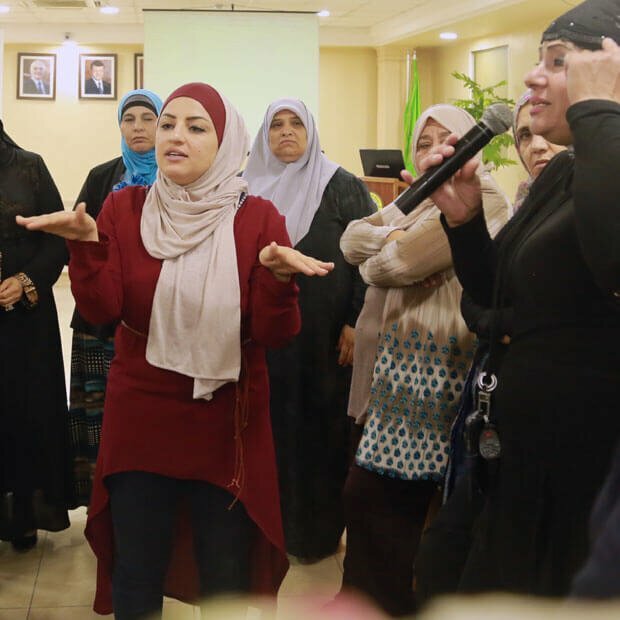 Through NDI’s program, Iraqi women now have the space to collaboratively leverage the momentum in the weeks and months since the defeat of ISIS to assert women’s missing role in reconciliation and confront some of the biggest challenges on Iraq’s road to peace. The program is implemented with funding from the Government of Canada, Peace and Stabilization Operations Program (PSOP).